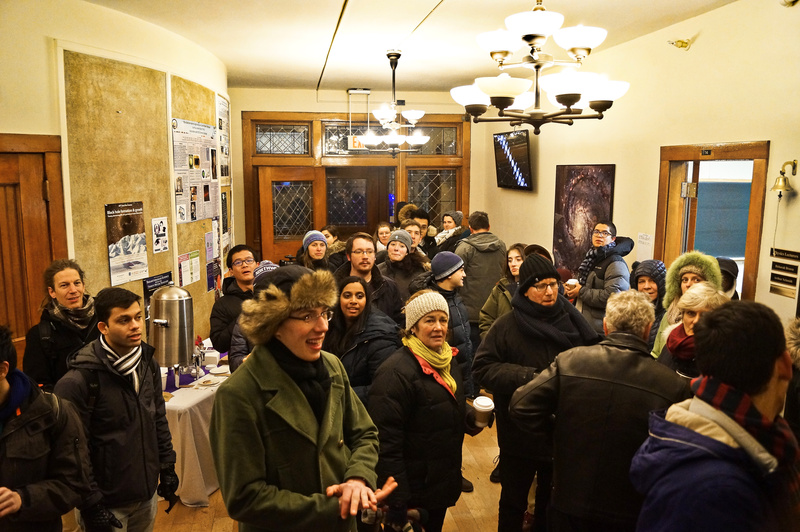 A total lunar eclipse, single-digit temperatures, and tacos made for a fun Sunday night on January 20 for over 500 people who ventured out to Dearborn Observatory for an event hosted by CIERA astronomers. Situated within the region for prime viewing of the total lunar eclipse, millions of people in North and South America had the opportunity to witness the supermoon turn red. 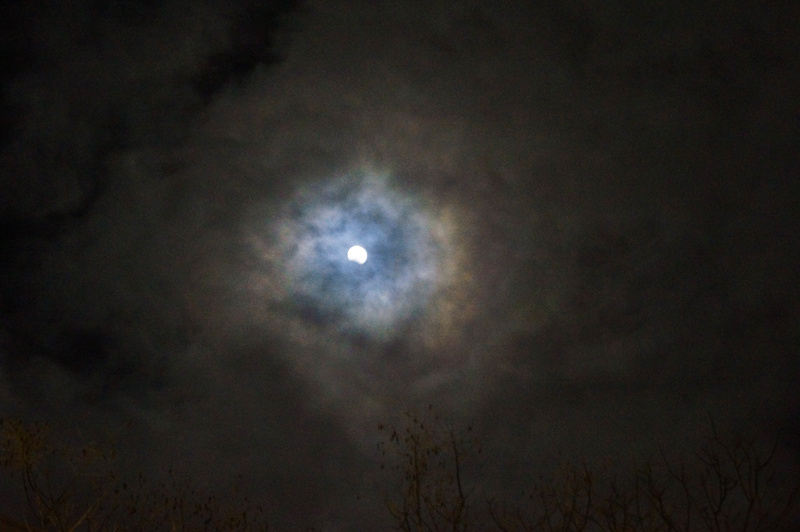 A total lunar eclipse occurs when the earth, sun, and moon are in perfect alignment so that the Earth’s shadow blocks the sun’s light, which would otherwise reflect off the moon. 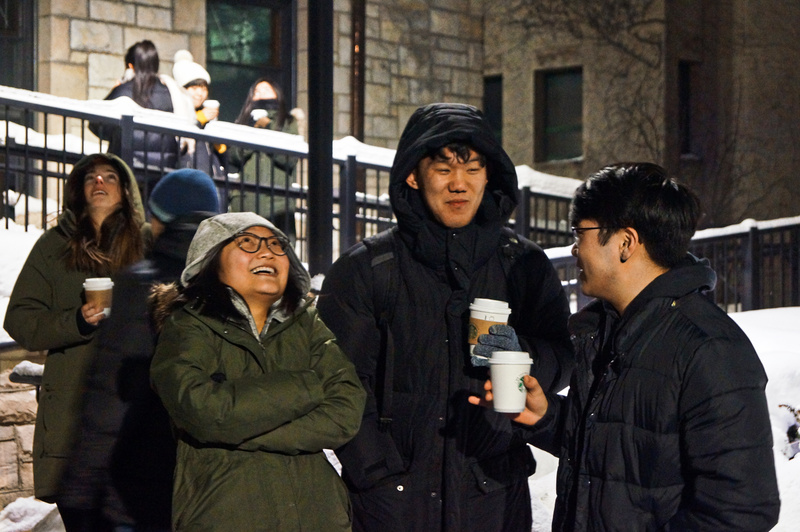 Plenty of hot cocoa kept visitors warm while they perused the observatory and peered into Dobs telescopes brought outdoors by astronomers. 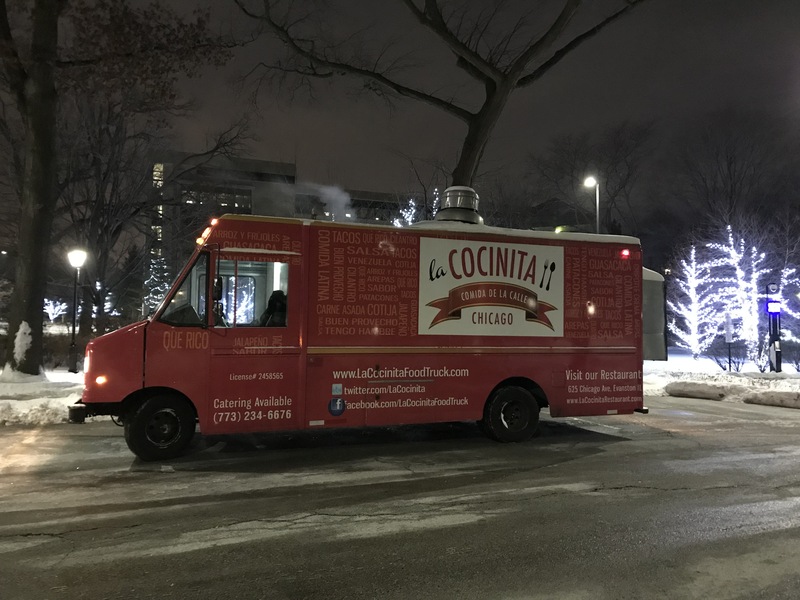 A food truck from La Cocinita, a Venezuelan restaurant in Evanston, served late-night eats in the Northwestern Pl. lot to hungry guests and added to the high-spirited festivity of the night. Thank you to all who came to visit! 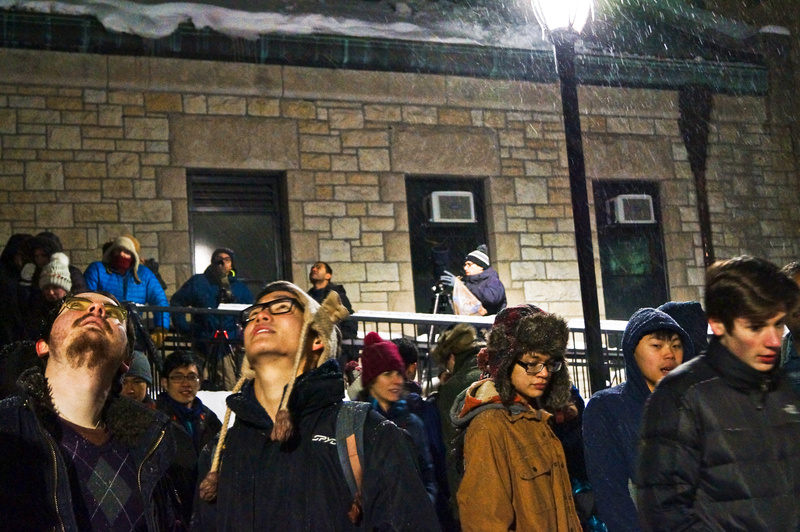 And thanks to our volunteer hosts, and those at CIERA who make these events possible: Katie Barnhart, Monica Garcia, Gretchen Oehlschlager, Freddy Pardoe, Ava Polzin, Joshua Pritz, Cobi Rabinowitz, Kyle Rocha, Candice Stauffer, and Shi Claire Ye.